Hard-working triathlon kit for swimming, cycling and running that's (almost) guaranteed to make you race faster – and look cooler. Wide, flexible lenses and the soft frame are the important things here. A comfortable fit is vital, but Huub's wide, anti-fog and scratch-resistant lenses also give you the clearest sighting possible in open water. Yamamoto premium neoprene is the gold standard for wetsuits, and the latest Vanquish suit is made entirely of the stuff. The extra buoyancy and flexibility means the suit aids rather than restricts, and Zone3's Pro Speed Cuff makes for an easy transition too. Polar's new triathlon all-rounder records all stages of your race, but is particularly impressive underwater. Both the watch and heart-rate monitor are fully waterproof, and the build quality is nigh-on indestructible, giving you access to all your swimming data and metrics, even as you race. Although known for lenses, Smith's new Pivlock V2 frames are fantastic in their own right. The nose-piece is fully adjustable for comfort and fit, so these will see you through the bike and run sections, with UV-protective wide-angle lenses giving you a clear view of the field as you pick them off one by one. RLKFT+ uses your iPhone to record all your cycling metrics, and cleverly beams them live to a mounted display on your handlebars. It'll even play nicely with apps like Strava Cycling, and has been upgraded to send your data to Apple Healthkit too. Built under constant wind-tunnel testing, the Radius' wind channelling and Alu-Tech-Frame reduces volume and drag in the air, helping to have seconds off your cycling times. The air flow and Thermo Cool lining also help you avoid a sweaty bonce. These Swiss runners are packed with technology, from the elastic slip- on lacing and woven heel cradle, to the springy Cloud Pods on the sole. 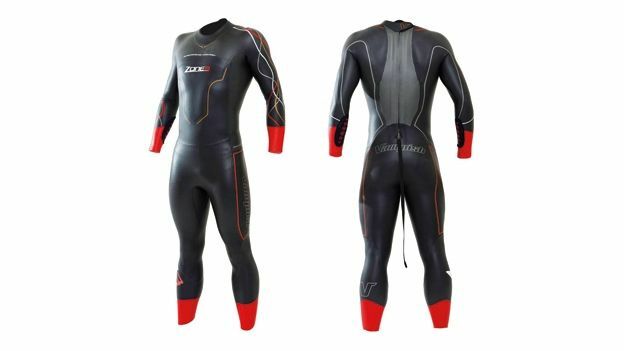 Some of the world's best triathletes have now switched over to these. Compressport gear powers some of the world's top triathletes, including legendary four-time Ironman champ Chrissie Wellington. The unique weave helps to regulate your body temperature whatever the weather, there are no uncomfortable seams that might rub as you run, and all the gear is anti-bacterial too. These sweatproof earphones will never fall out as you race, says Yurbuds, thanks to TwistLock technology, which keeps them securely fastened. Our gripe used to be poor sound quality, but Yurbuds is now owned by Harman, which has put excellent JBL drivers in them. TT Triathlon Frameset This stealthy, matte black frameset has been two years in the making, and it's frighteningly fast. 90mm on the rear and 55mm at the front, this race-ready pack features Token's excellent anti-vibration tech. This super-comfy road saddle has transition hooks on the back for quick racking and unracking.